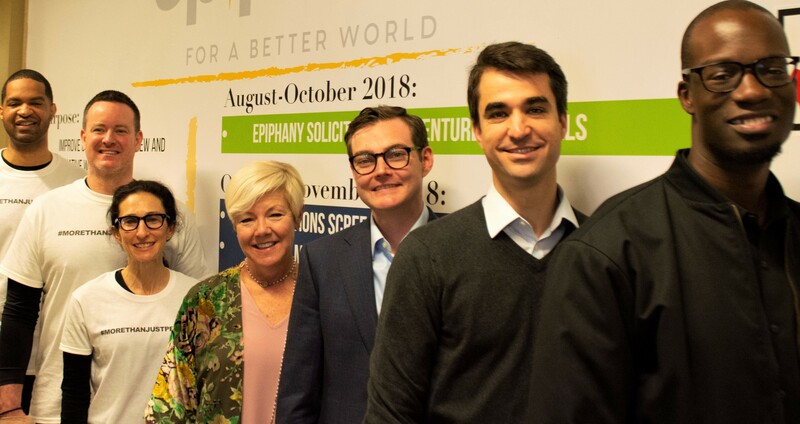 First Presbyterian Church of Atlanta (“FPC”) has announced the winning Grant Recipients of its 2019 Epiphany social venture competition. Epiphany is a new initiative that aims to help launch entrepreneurs with innovative ideas to address social challenges, as well as harness the capabilities of one of Atlanta’s oldest churches in impactful new ways. AUTOMOTIVE TRAINING CENTER - Entrepreneur: Larry Witherspoon, Jr.: Social venture to train and equip at-risk youth and young adults for jobs in the automotive sector, and provide reliable, trust-worthy services for car repair to the consumer market eager to use their dollars for social good. EVICTION ASSISTANCE MOBILE APP – Entrepreneur Andrew Thompson: An easy to use technology application that will provide successful outcomes to tenants facing eviction and enable court systems to better/more efficiently handle exploding eviction caseloads. PADSPLIT – Entrepreneur Frank Furman: A technology marketplace platform creating safe, clean, and affordable housing units for working Atlantans. PURPOSEFUL PECANS - Entrepreneurs: Todd Holcombe, Jason Tucker, Hillary Baker. An innovative solution to generate additional revenue to provide 400,000+ healthy meals annually to vulnerable seniors. Purposeful Pecans, a gourmet candied pecan, is the first product created by this established non-profit. REFUGE COFFEE CO. - Entrepreneur: Kitti Murray: A radical approach to welcome, integrate and train refugees to take the next step in their own, personal American dreams. The Epiphany process began last fall when more than 88 entrepreneurs submitted applications to participate. FPC narrowed the applications to 22 that proposed innovative business models to address areas of social concern. 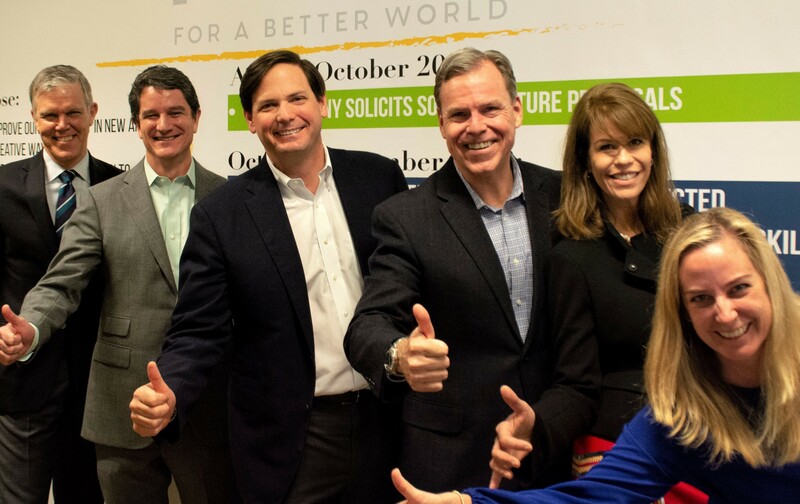 From there, members of FPC’s congregation used their relevant skills, experiences and connections to help refine ideas, equip the entrepreneurs and prepare them for launch and greater impact. For several months, participants received hands-on business coaching from these experienced mentors, and semi-finalists participated in a workshop with business and city leaders. After a final pitch to a panel of judges, five grant recipients were selected to receive funding, as well as financial and business planning assistance from FPC. On Sunday, February 24, all finalists were introduced to the congregation during worship services. Founded in 1848, First Presbyterian Church of Atlanta (“FPC”) is located at the corner of Peachtree and 16th Streets. FPC is known for being a leader in worship, spiritual formation, service, relationships, and the arts—a community of humble followers of Jesus Christ who choose, by God’s grace, to live by love, seek continual transformation, and equip all to be servant leaders in Atlanta and throughout the world. FPC is home to the longest continually-running preschool in the southeast, has a thirty-five-year tradition of feeding 250 homeless guests breakfast every Sunday, provides safe housing and support to 12 women through its on-site Women’s Transformation Center, and nurtures numerous partnerships both internationally and in our city. Read more about Epiphany, the Grant Recipients and First Presbyterian Church of Atlanta at http://www.firstpresatl.org/epiphany.